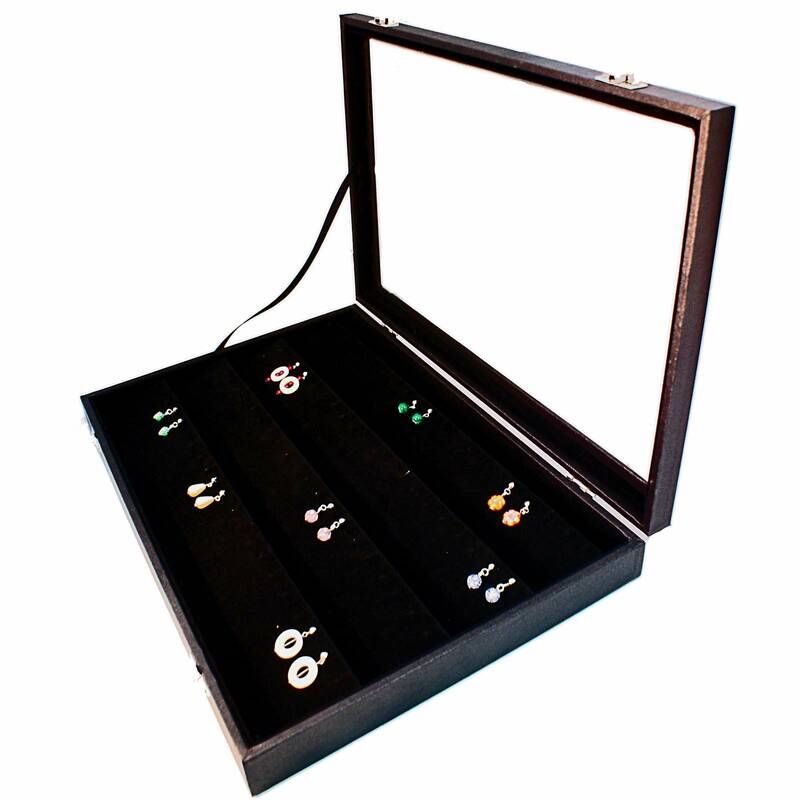 Earring display case with glass lid and front clasps. Velvet interior. Fits up to 40 pairs of earrings. 350mm wide x 240mm deep x 46mm high.